Rashta Kruger and Emma Wilkie have been bringing the funny to Blue Dog Motel (3958 Saint-Laurent) every Monday night for a few years now with There’s Something Funny Going On. Sometimes Troy Stark comes into host, sometimes someone else. Five to six comics every Monday grab the mike at 9 p.m. (not all at once). This is a largely indie show, with plenty of local talent, and the occasional international guest. Check out their Facebook page to see who is planning to make you laugh. No cover and pwyc. If sketch comedy is more your thing, The Sketch Republic brings in sketch performers from Montreal and elsewhere once a month to either the Theatre St. Catherine (264 ST Catherine E) or the Montreal Improv Theatre. Shows are usually around 8 p.m., though times change. Keep an eye HERE to know more. $7. Arts and Laughs is a new Tuesday night show at Comedyworks (1238 Bishop) sponsored by comedy collective The Brunch Club. Different comedians will hit the space and combine comedy and art supplies. Sure. Sounds like a party. Add to that two for one drink specials and contests to make this a special sort of weekly wildness. Cost is $5. Check out The Brunch Club’s website HERE for tickets. The ever-funny Chris Sandiford and Daniel Carin are the cosmic force behind the Ladies & Gentlemen Comedy Show at Café Shaika (5526 Sherbrooke W.). 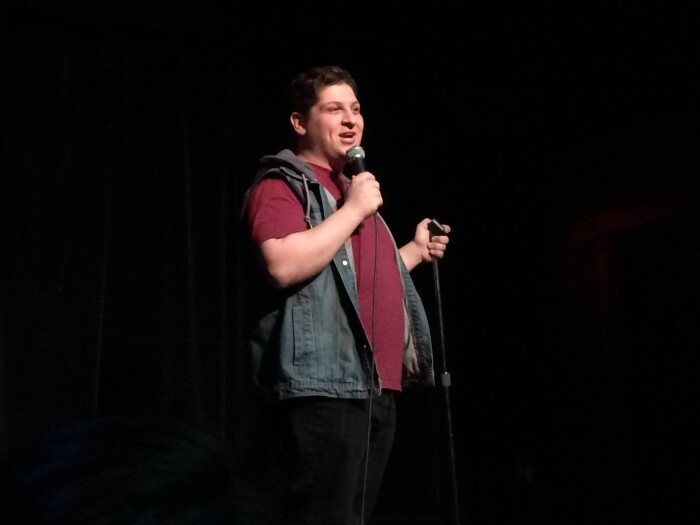 Local and other up-and-coming comics make the little cafe in NDG laugh. 9 p.m. Admission is free. Check out their Facebook page for weekly info. Newbie Tuesdays is for those who are just trying out comedy for the first or nearly first time ever. Give the first timers a big hurrah as they get a heart-pounding five minutes at Comedy Nest (2313 ST Catherine W). every Tuesday. Show at 8 p.m. $5. For tickets, click HERE. Drop the Gloves Tuesdays at Grumpy’s (1242 Bishop) promises all sorts get up and let ‘er rip. A one-two and down they go. Check it out at 10:30 p.m. free. Not only do they serve veggie burritos, but Burritoville (2055 Bishop) also serves comedy at Shut up and Laugh. This comedy open mic show is unpredictable, but always fun, with a mix of newbs and old pros. Show starts 8:30 and there are beer specials (2 for $7). Show starts around 8:30 p.m. and its pwyc. Check the Facebook page for the weekly lineup. Watch different acts, including comedians, burlesque dancers, musical acts, and nearly anything you could imagine cross the stage of the Wiggle Room’s Voix de Ville. This weekly show lets the acts compete for $100 and a chance to return the following week based on how the audience votes. Join in the fun for just $10/$8 students. Show at 8 p.m. Click HERE for the Wiggle Room calendar. Comedy Nest (2313 St Catherine W) hosts its weekly amateur and test night for pros every Wednesday at 8 p.m. A merciful $5 gets you into the 8 p.m. show. For tickets, click HERE. Montreal’s comedy clubs tend pack in the big names from Thursday to Saturday, usually with a few warm up acts. The key venues to watch are ComedyWorks, The Comedy Nest, and Yuk Yuks. Acts change every week so keep an eye on our calendar to know who is coming and when. Open Michelle is a monthly stand-up show featuring women, or mostly women at The Comedy Nest (2313 St Catherine W). The show starts at 8 p.m. and costs $8 ($5 students). You never know who will be up, so check out their info HERE. Eman El-Hussein started Best Of Open Mike (BOOM!) and the tradition lives on the last Sunday of every month at Yuk Yuk’s (1222 rue MacKay) under the eye of Ali Mohammadi. 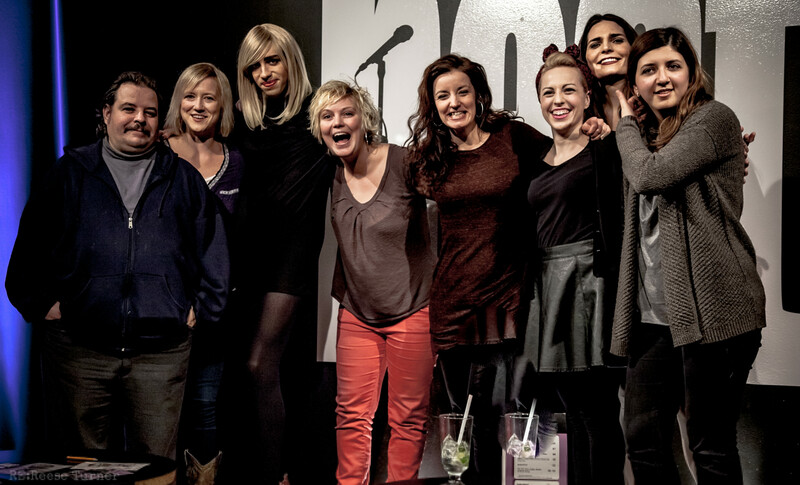 This competitive comedy show puts the best open mic’ers on stage from each Tuesday night Open Mic at Yuk Yuks. or $5 check out a line-up of ever changing comics. Info HERE. The M-hostel of Montreal hosts a weekly show that features some top local indie performers. Don’t be a stranger and come to Comedy Abroad! at the Mbar (1245 Saint-André, back entrance) every Sunday beginning at 8:15 p.m. You don’t need to be an out-of-towner to enjoy this show. Some say it’s the best kept secret in the city as some international performers hit up the stage. For more info HERE. Happy hour starts at 7:30 ($10 pitchers) and there’s a pass-the-hat way of paying for the show (suggested donation is $8-10). Danger Dulgar Comedy Show goes strong on Sunday at 8 p.m. under the careful hosting of Kris Dulgar at Bar Bifteck (3702 Saint-Laurent) since 2013. It promises to be dangerous with two different formats — stand up and competitive. Competitive games include Just a Minute (telling a story in 60 seconds without repeating, hesitating, or deviating; and Tough Crowd — a panel discussion). You never know what you’ll get as JFL veterans and those new to the scene perform. $5. Info HERE. Want to keep the comedy going. Macsimum Comedy is an open mic night at Macleans Pub (1210 Peel). Hosts change from week to week and sign up to put yourself in the line of fire starts at 8 p.m. Info HERE.